Below you will find some ideas how to introduce particle physics in your classroom in a hands-on way. If you visit us in S'Cool LAB, you can have a look at all the listed equipment and take a printed copy of our tour guide "A hands-on tour through particle physics on a small budget". The cloud chamber was one of the first particle detectors. Today, cloud chambers are only used in education. It is very easy to build a cloud chamber with everyday material, dry ice, and Isopropyl alcohol. Below we provide a DIY manual including many information on how to interpret the observations, and what do with cloud chamber (e.g. using balloons as radioactive sources). Bubble chambers were the dominant experimental tools of particle physicists in the 1950s and 60s. They supplanted cloud chambers and lead to the Nobel Prize in Physics 1960. 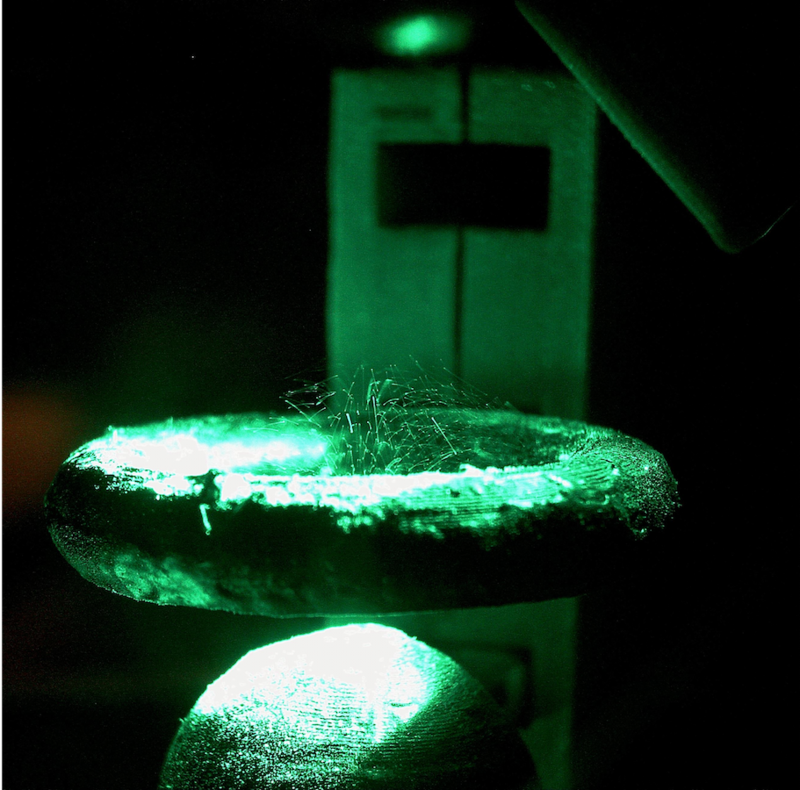 Bubble chambers and cloud chambers work in a very similar way. And although it is not possible to build a bubble chamber in the classroom, students can analyse bubble chamber tracks and learn more about particle identification, e.g. after having built and observed cloud chambers. Quarks are fundamental particles in the Standard Model of particle physics. They make up the protons and neutrons that we are familiar with, but also a zoo of other more exotic particle systems like pions and kaons. Quarks have never been isolated; they always form groups of two or three. But what are the rules that govern these quarks systems? 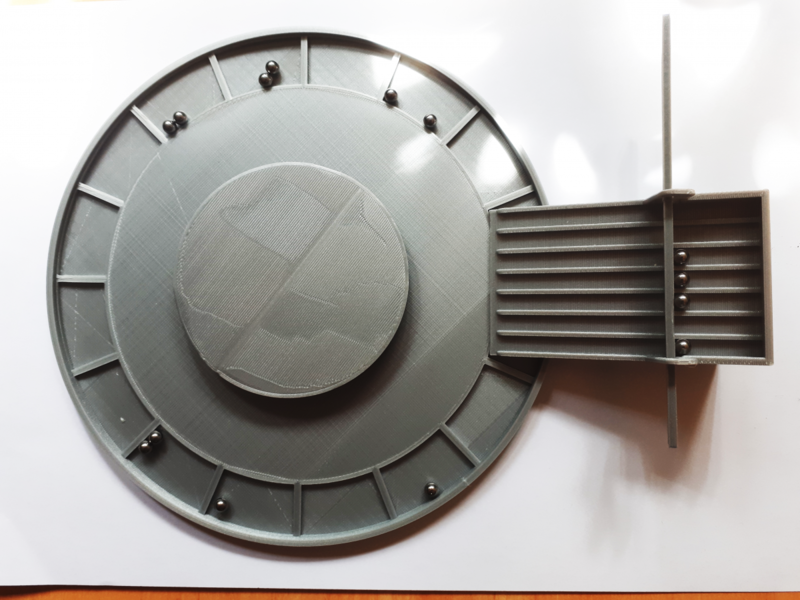 Find out more with the quark puzzle, a set of 3D printable pieces that represent quarks. 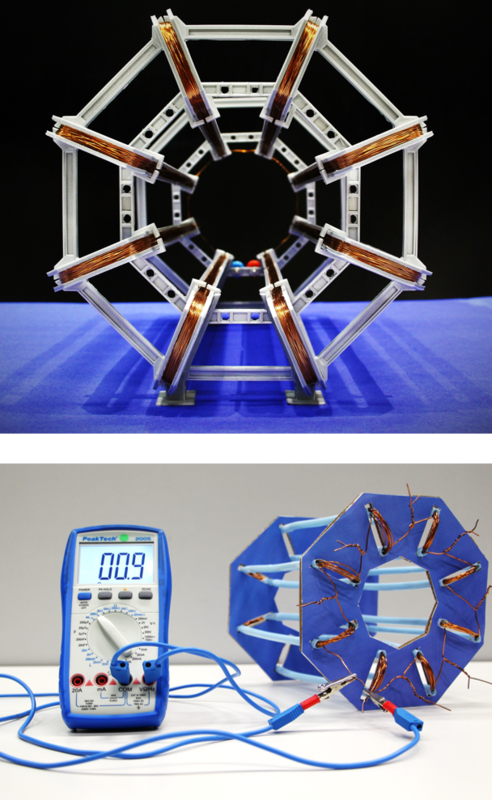 Each piece is labelled with a quark type, electric charge and colour charge, and has joints that allow it to connect to other quark pieces. You can use these to discover the rules of the strong interaction and colour charge, or to build your own models of particle systems. 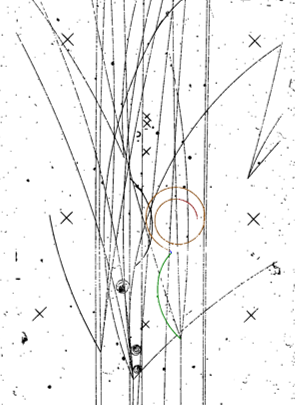 The 2D version of this puzzle was orgininally proposed by Gettrust, E. (2010). The quark puzzle: a novel approach to visualizing the color symmetries of quarks. The Physics Teacher, 48(5), 312-315. Would you like to introduce your students to particle physics through games? Do you have some spare time at the end of the year and need something educational to occupy your students? 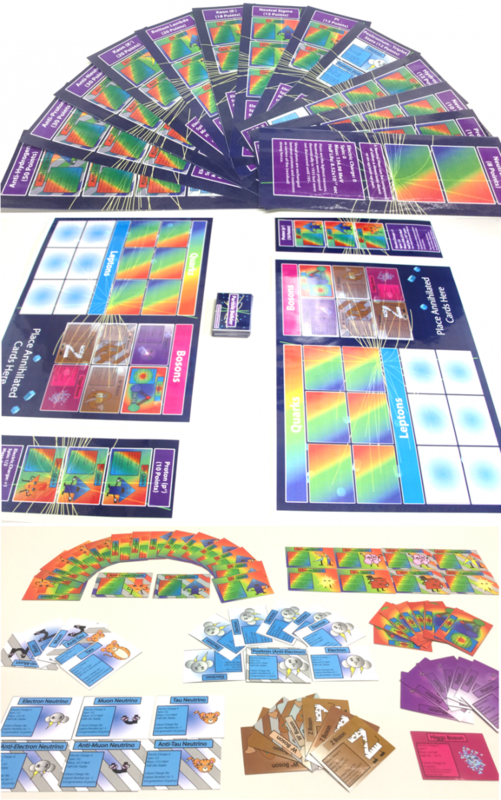 Do you love both board games and particle physics? There are a number of particle physics games that you can use in the classroom that are freely available.